The Sutton Duvet Cover Set shows off subtle stripes amidst a white seersucker background. 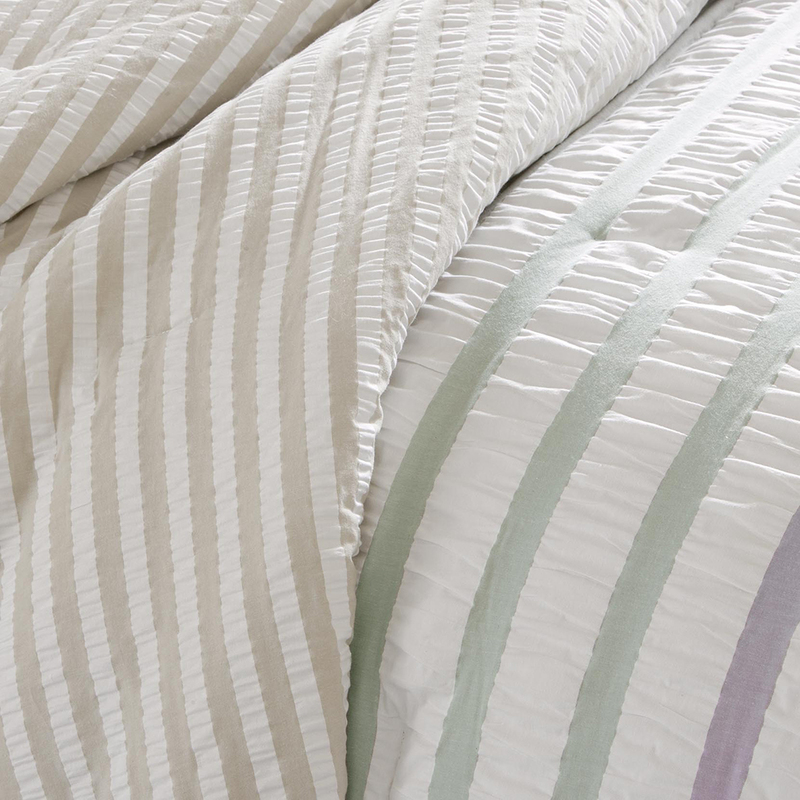 The different stripe widths along with the color variations add dimension to this clean look. 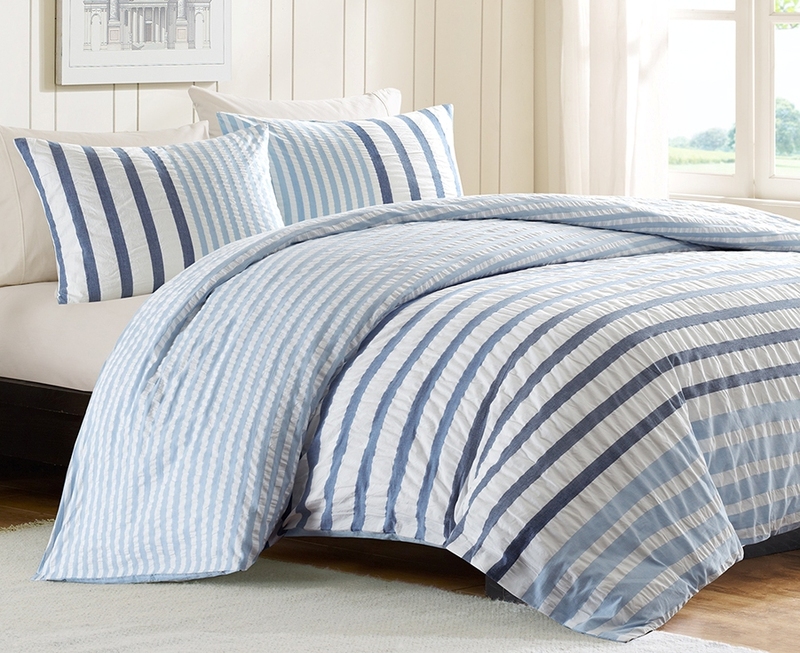 Made from yard dyed, 100% cotton, this set includes a duvet cover and two shams (one with twin set). 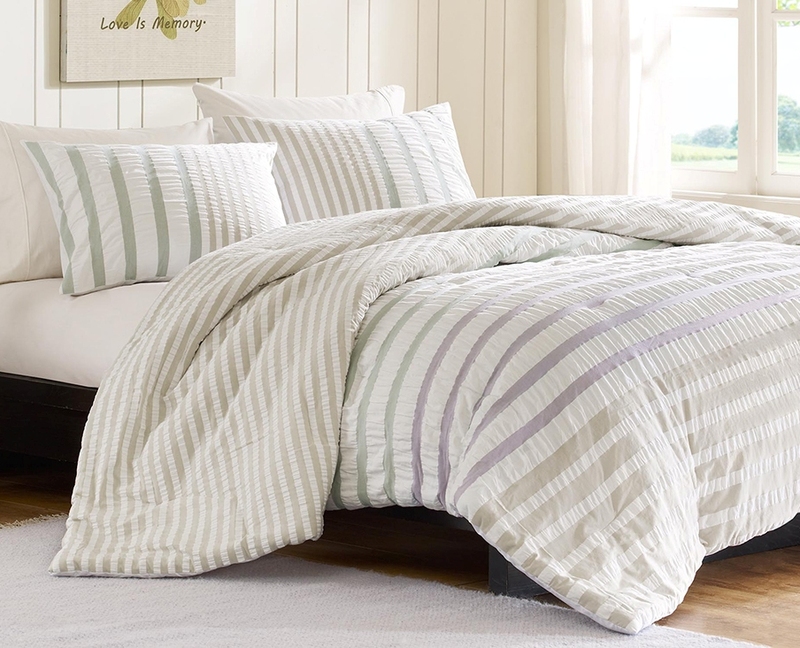 A duvet cover is a protective cover for your comforter, most likely for your down comforter. 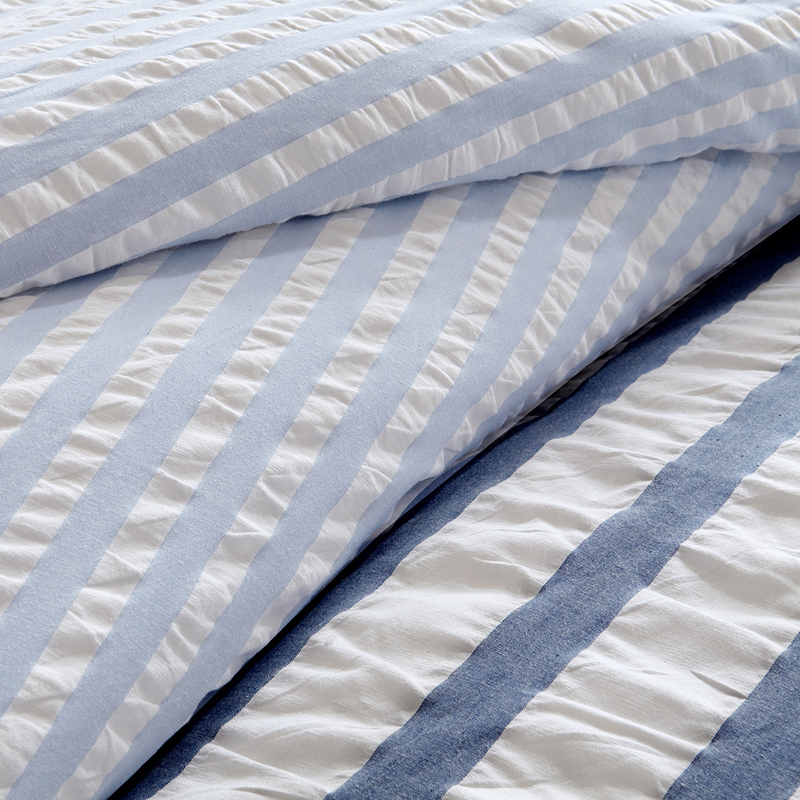 Sometimes it�s referred to as a comforter cover. Duvet covers are not filled. It has an opening where you can insert your comforter. Filler not included.